I haven’t shared with you in quite some time because, among other things I’ve been working in the background of carnival on a small community project called Creative Wholeness. But big changes are afoot. For the next several months I’ll be blogging periodically from Cairo, Egypt, where I’ve taken up a post as a United Nations Volunteer. I am truly looking forward to exploring, understanding and learning as well as the work I will do in my day job. 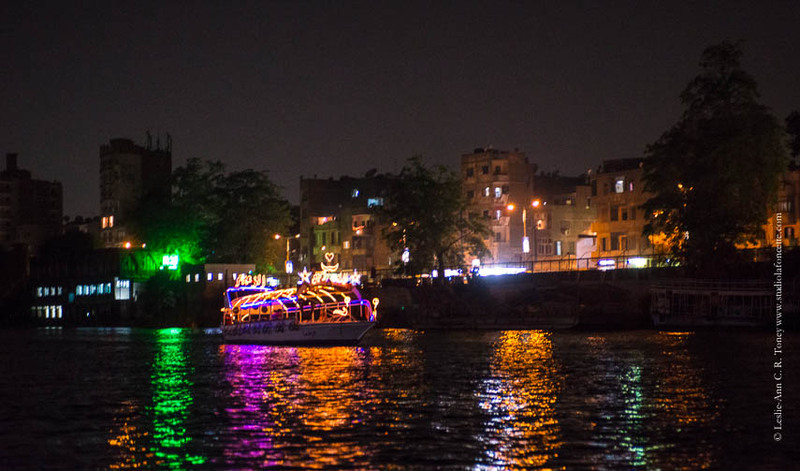 These images are from an evening sailing on a small boat called a falouka on the Nile in downtown Cairo. 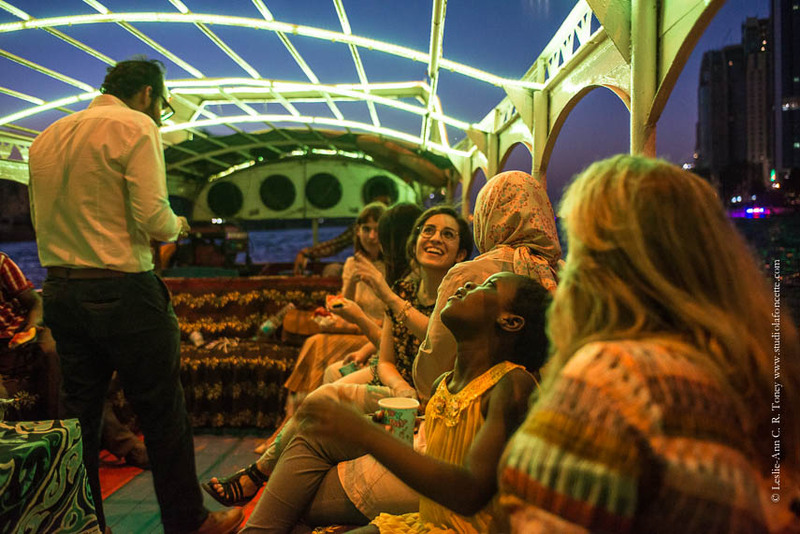 It’s Ramadan all over the world and in this enormous city that never sleeps some folks like to break the fast with iftar (eftaar) as a dinner party on these beautifully lit boats. 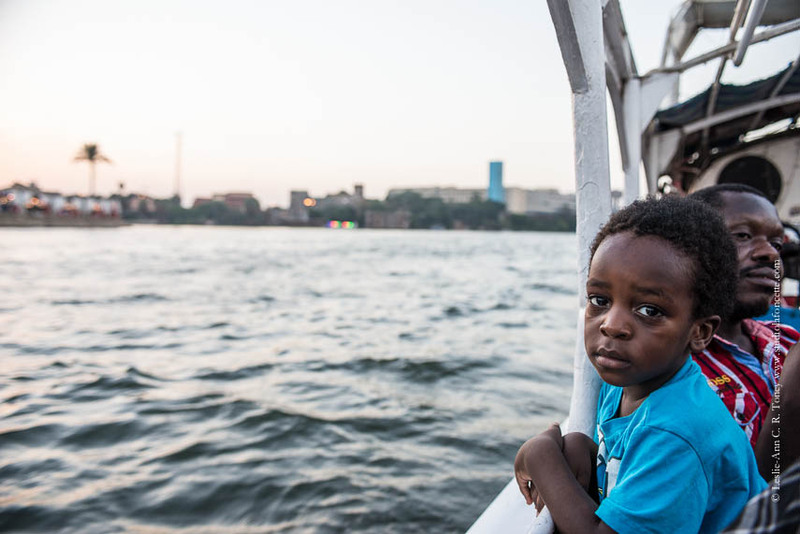 I’ve made a point of sharing photos of the two adorable children in our company, the son and daughter of another UNV, because I received dozens of reactions of alarm about the dangers of being here. Cairo is like any other major city where one should be reasonably cautious. It is also quite safe. In the meantime you can also follow me on Instagram, where I’ve already made over 100 posts in the past couple weeks, Twitter, Facebook, Snapchat or on as many platforms as I can find time to engage. I’ll let you in on a secret: Egypt has always been on my places-to-visit list; but this is already an experience beyond my imagination. I can’t wait to discover and share with you. I am so happy for you. 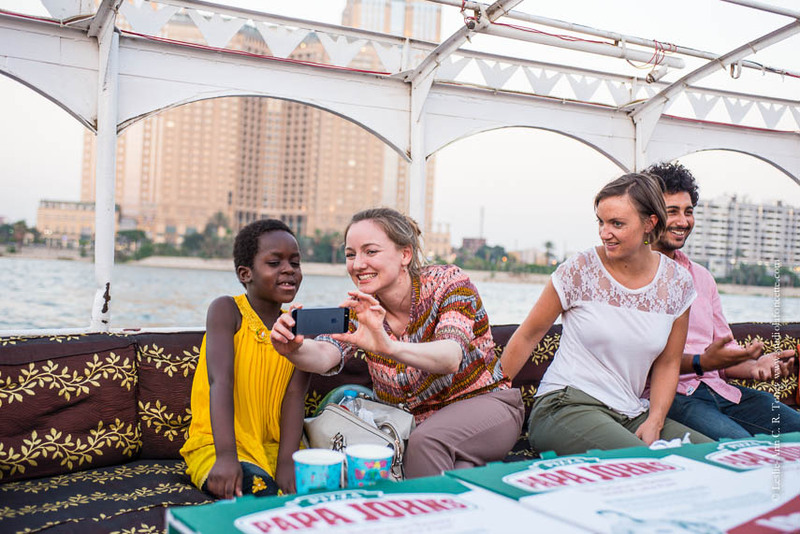 Looking forward to seeing Egypt through your eyes. Is that Papa John Pizza I am seeing? Where’s the local foods? American influence everywhere huh? Yes, American influence everywhere. There are British and American stores in these gigantic malls. But I’ve eaten lots of Egyptian food, thanks to good new friends.